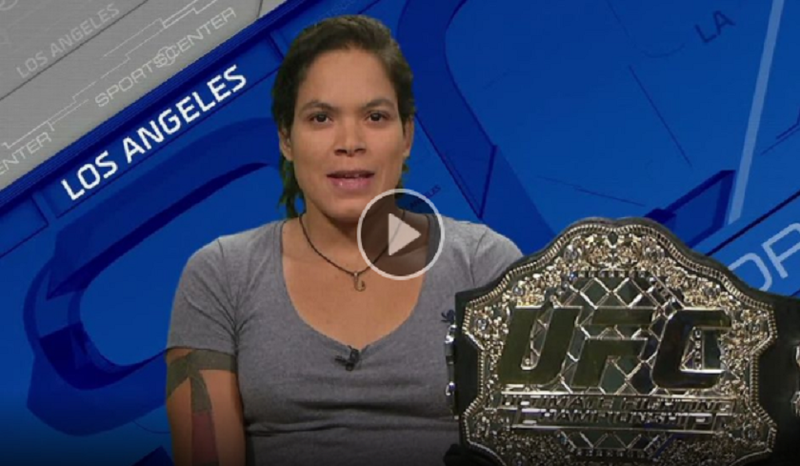 UFC Women’s Bantamweight champion Amanda Nunes sat down with ESPN’s Sportscenter to discuss her upcoming rematch with Valentina Shevchenko. Amanda Nunes joins SportsCenter and shares what motivates her ahead of her bout with Valentina Shevchenko and talks about how she’s preparing differently for a five-round fight. The last time the two squared off in the Octagon at UFC 196, Nunes was handed a unanimous decision. But after hearing Shevchenko repeatedly tell anyone who would listen that she would have won the fight if it had gone five rounds, Nunes discusses her motivation to “finish her” this time around. Shevchenko will get her chance to go five rounds in the main event at UFC 213 July 8th in Las Vegas, NV, with Nunes defending her belt.